Re-Wineis the epitome of re-purposing, a creative solution for our trashy resources. Built-in interlocking joints and partially biodegradable materials, making trash bottles chic, practical, and planet-friendly. The reusable carrying case transforms into an energy-efficient LED desk lamp, using your empty wine bottle as a stand. 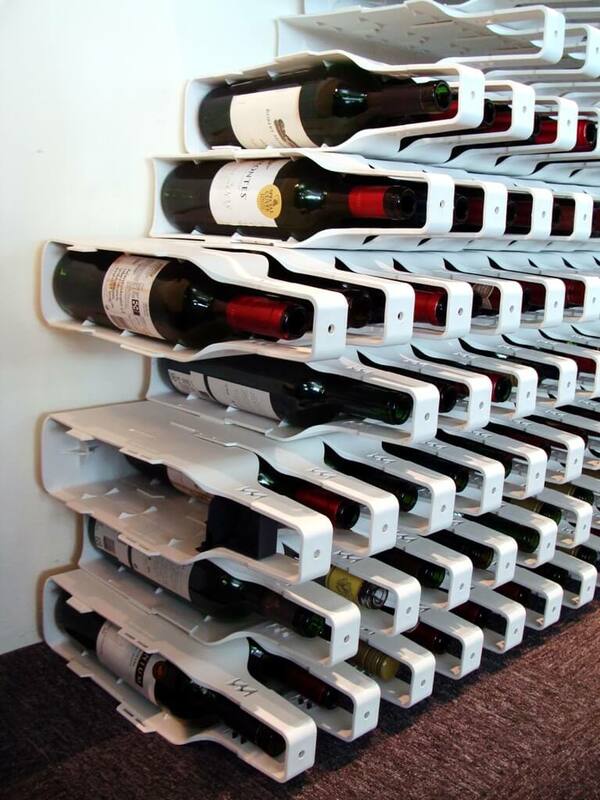 Indeed, after the wine has been enjoyed, the innovative design allows the case to be reused in various ways. Made of 100% recycled materials, this chic wine case reduces the amount of waste in landfills. Re-Wine is a fantastic carrying solution for wine bottles. The durable POLLIBER™ casing will help prevent your wine from breaking or spilling. In addition, after the wine has been enjoyed, Re-Wine utilizes the used wine bottle to create a one-of-a-kind energy efficient desk lamp. It also shines as a standalone chandelier. And last feature, Re-Wine’s innovative design allows the case to interlock with each other. Use this product as building blocks to create a wall or durable custom furniture. Godt at det ikke var deg selv som eksploderte! Man skal ikke ta arbeidet fra mannen, det har i alle fall Ã¦ lÃ¦rt! Det ble fint med nye dÃ¸rer! En god uke!